Our product range includes a wide range of honed pipe, honed tubes, seamless honed tubes, honed seamless tube, hydraulic honed tubes and honing seamless pipe. Jayant Impex can offer Honed Pipe, Honed Seamless Pipes, Cylinder Honed Pipe, Hydraulic Honed Pipe, Ready to Hone Pipe, skived and roller burnished honed pipes, Inside Honed & outside chrome plated Hollow pipe, Honed Hollow Bar, Honed hollow pipes. Suitable To Hone Mechanical Tubing is produced from either cold drawn seamless tubing or from drawn over mandrel (DOM) steel tubing. 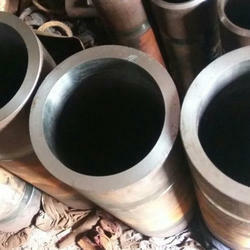 Size Specifications for Honed Pipe: 25mm to 250mm, 1" to 10"
Applications of Honed Pipe: Finishing of cylinders for internal combustion engines, air bearing spindles and gears, used in oil, telecom, power plants, general engineering purposes, electrical industries and for various hydraulic applications like Hydraulic Cylinder, Hydraulic Jack, hydraulic oil cylinder pneumatic cylinder, petrifaction oil pump, coal mine, engineering machinery, crane and transport machinery, auto transmission axes, plastic machinery, engineering machinery, crane and transport machinery, auto transmission axes, plastic machinery, hydraulic oil cylinder, pneumatic cylinder, absorber, spin printing and dyeing, forklift, pump barrels, etc. 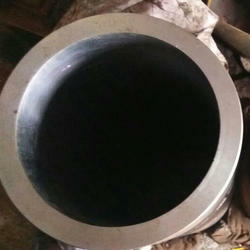 From Jayant Impex Pvt Ltd, India, Maharashtra, Khopoli, Mumbai client can avail Honed Pipe, Honed Seamless Pipes, Cylinder Honed Pipe, Hydraulic Honed Pipe, Ready to Hone Pipe, skived and roller burnished honed pipes, Inside Honed & outside chrome plated Hollow pipe, Honed Hollow Bar, Honed hollow pipes. If any requirements for Honed Pipe, Honed Seamless Pipes, Cylinder Honed Pipe, Hydraulic Honed Pipe, Ready to Hone Pipe, skived and roller burnished honed pipes, Inside Honed & outside chrome plated Hollow pipe, Honed Hollow Bar, Honed hollow pipes kindly do contact us. Jayant Impex can offer Honed Tube, Honed Seamless Tubes, Cylinder Honed Tube, Hydraulic Honed Tube, Ready to Hone Tube, skived and roller burnished honed tubes, Inside Honed & outside chrome plated Hollow tube, Honed Hollow Bar, Honed hollow tubes. 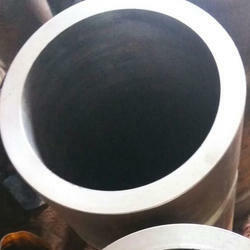 Size Specifications for Honed Tube: 25mm to 250mm, 1" to 10"
Applications of Honed Tube: Finishing of cylinders for internal combustion engines, air bearing spindles and gears, used in oil, telecom, power plants, general engineering purposes, electrical industries and for various hydraulic applications like Hydraulic Cylinder, Hydraulic Jack, hydraulic oil cylinder pneumatic cylinder, petrifaction oil pump, coal mine, engineering machinery, crane and transport machinery, auto transmission axes, plastic machinery, engineering machinery, crane and transport machinery, auto transmission axes, plastic machinery, hydraulic oil cylinder, pneumatic cylinder, absorber, spin printing and dyeing, forklift, pump barrels, etc. From Jayant Impex Pvt Ltd, India, Maharashtra, Khopoli, Mumbai client can avail Honed Tube, Honed Seamless Tubes, Cylinder Honed Tube, Hydraulic Honed Tube, Ready to Hone Tube, skived and roller burnished honed tubes, Inside Honed & outside chrome plated Hollow tube, Honed Hollow Bar, Honed hollow tubes. If any requirements for Honed Tube, Honed Seamless Tubes, Cylinder Honed Tube, Hydraulic Honed Tube, Ready to Hone Tube, skived and roller burnished honed tubes, Inside Honed & outside chrome plated Hollow tube, Honed Hollow Bar, Honed hollow tubes kindly do contact us. Jayant Impex can offer Seamless Honed Tube, Seamless Honed Seamless Tubes, Cylinder Seamless Honed Tube, Hydraulic Seamless Honed Tube, Ready to Hone Tube, skived and roller burnished Seamless Honed tubes, Inside Seamless Seamless Honed & outside chrome plated Hollow tube, Seamless Honed Hollow Bar, Seamless Honed hollow tubes. Size Specifications for Seamless Honed Tube: 25mm to 250mm, 1" to 10"
Applications of Seamless Honed Tube: Finishing of cylinders for internal combustion engines, air bearing spindles and gears, used in oil, telecom, power plants, general engineering purposes, electrical industries and for various hydraulic applications like Hydraulic Cylinder, Hydraulic Jack, hydraulic oil cylinder pneumatic cylinder, petrifaction oil pump, coal mine, engineering machinery, crane and transport machinery, auto transmission axes, plastic machinery, engineering machinery, crane and transport machinery, auto transmission axes, plastic machinery, hydraulic oil cylinder, pneumatic cylinder, absorber, spin printing and dyeing, forklift, pump barrels, etc. From Jayant Impex Pvt Ltd, India, Maharashtra, Khopoli, Mumbai client can avail Seamless Honed Tube, Seamless Honed Seamless Tubes, Cylinder Seamless Honed Tube, Hydraulic Seamless Honed Tube, Ready to Hone Tube, skived and roller burnished Seamless Honed tubes, Inside Seamless Seamless Honed & outside chrome plated Hollow tube, Seamless Honed Hollow Bar, Seamless Honed hollow tubes. If any requirements for Seamless Honed Tube, Seamless Honed Seamless Tubes, Cylinder Seamless Honed Tube, Hydraulic Seamless Honed Tube, Ready to Hone Tube, skived and roller burnished Seamless Honed tubes, Inside Seamless Seamless Honed & outside chrome plated Hollow tube, Seamless Honed Hollow Bar, Seamless Honed hollow tubes kindly do contact us. Jayant Impex can offer Honed Seamless Tube, Honed Seamless Tubes, Cylinder Honed Seamless Tube, Hydraulic Honed Seamless Tube, Ready to Hone Tube, skived and roller burnished Honed Seamless tubes, Inside Honed & outside chrome plated Hollow tube, Honed Seamless Hollow Bar, Honed Seamless hollow tubes. Size Specifications for Honed Seamless Tube: 25mm to 250mm, 1" to 10"
Applications of Honed Seamless Tube: Finishing of cylinders for internal combustion engines, air bearing spindles and gears, used in oil, telecom, power plants, general engineering purposes, electrical industries and for various hydraulic applications like Hydraulic Cylinder, Hydraulic Jack, hydraulic oil cylinder pneumatic cylinder, petrifaction oil pump, coal mine, engineering machinery, crane and transport machinery, auto transmission axes, plastic machinery, engineering machinery, crane and transport machinery, auto transmission axes, plastic machinery, hydraulic oil cylinder, pneumatic cylinder, absorber, spin printing and dyeing, forklift, pump barrels, etc. From Jayant Impex Pvt Ltd, India, Maharashtra, Khopoli, Mumbai client can avail Honed Seamless Tube, Honed Seamless Tubes, Cylinder Honed Seamless Tube, Hydraulic Honed Seamless Tube, Ready to Hone Tube, skived and roller burnished Honed Seamless tubes, Inside Honed & outside chrome plated Hollow tube, Honed Seamless Hollow Bar, Honed Seamless hollow tubes. If any requirements for Honed Seamless Tube, Honed Seamless Tubes, Cylinder Honed Seamless Tube, Hydraulic Honed Seamless Tube, Ready to Hone Tube, skived and roller burnished Honed Seamless tubes, Inside Honed & outside chrome plated Hollow tube, Honed Seamless Hollow Bar, Honed Seamless hollow tubes kindly do contact us. Jayant Impex can offer Hydraulic Honed Tube, Hydraulic Honed Seamless Tubes, Cylinder Hydraulic Honed Tube, Hydraulic Honed Tube, Ready to Hone Tube, skived and roller burnished Hydraulic Honed tubes, Inside Hydraulic Honed & outside chrome plated Hollow tube, Hydraulic Honed Hollow Bar, Hydraulic Honed hollow tubes. Size Specifications for Hydraulic Honed Tube: 25mm to 250mm, 1" to 10"
Applications of Hydraulic Honed Tube: Finishing of cylinders for internal combustion engines, air bearing spindles and gears, used in oil, telecom, power plants, general engineering purposes, electrical industries and for various hydraulic applications like Hydraulic Cylinder, Hydraulic Jack, hydraulic oil cylinder pneumatic cylinder, petrifaction oil pump, coal mine, engineering machinery, crane and transport machinery, auto transmission axes, plastic machinery, engineering machinery, crane and transport machinery, auto transmission axes, plastic machinery, hydraulic oil cylinder, pneumatic cylinder, absorber, spin printing and dyeing, forklift, pump barrels, etc. From Jayant Impex Pvt Ltd, India, Maharashtra, Khopoli, Mumbai client can avail Hydraulic Honed Tube, Hydraulic Honed Seamless Tubes, Cylinder Hydraulic Honed Tube, Hydraulic Honed Tube, Ready to Hone Tube, skived and roller burnished Hydraulic Honed tubes, Inside Hydraulic Honed & outside chrome plated Hollow tube, Hydraulic Honed Hollow Bar, Hydraulic Honed hollow tubes. 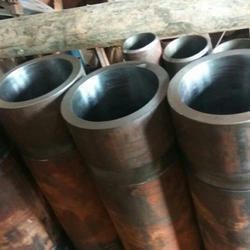 If any requirements for Hydraulic Honed Tube, Hydraulic Honed Seamless Tubes, Cylinder Hydraulic Honed Tube, Hydraulic Honed Tube, Ready to Hone Tube, skived and roller burnished Hydraulic Honed tubes, Inside Hydraulic Honed & outside chrome plated Hollow tube, Hydraulic Honed Hollow Bar, Hydraulic Honed hollow tubes kindly do contact us. Jayant Impex can offer Honing Seamless Pipe, Honed Seamless Pipes, Cylinder Honing Seamless Pipe, Hydraulic Honing Seamless Pipe, Ready to Hone Pipe, skived and roller burnished Honing Seamless pipes, Inside Honed & outside chrome plated Hollow pipe, Honing Seamless Hollow Bar, Honing Seamless hollow pipes. 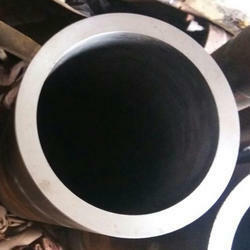 Size Specifications for Honing Seamless Pipe: 25mm to 250mm, 1" to 10"
Applications of Honing Seamless Pipe: Finishing of cylinders for internal combustion engines, air bearing spindles and gears, used in oil, telecom, power plants, general engineering purposes, electrical industries and for various hydraulic applications like Hydraulic Cylinder, Hydraulic Jack, hydraulic oil cylinder pneumatic cylinder, petrifaction oil pump, coal mine, engineering machinery, crane and transport machinery, auto transmission axes, plastic machinery, engineering machinery, crane and transport machinery, auto transmission axes, plastic machinery, hydraulic oil cylinder, pneumatic cylinder, absorber, spin printing and dyeing, forklift, pump barrels, etc. From Jayant Impex Pvt Ltd, India, Maharashtra, Khopoli, Mumbai client can avail Honing Seamless Pipe, Honed Seamless Pipes, Cylinder Honing Seamless Pipe, Hydraulic Honing Seamless Pipe, Ready to Hone Pipe, skived and roller burnished Honing Seamless pipes, Inside Honed & outside chrome plated Hollow pipe, Honing Seamless Hollow Bar, Honing Seamless hollow pipes. 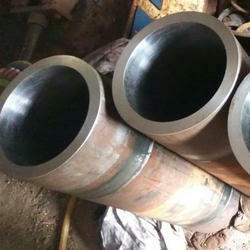 If any requirements for Honing Seamless Pipe, Honed Seamless Pipes, Cylinder Honing Seamless Pipe, Hydraulic Honing Seamless Pipe, Ready to Hone Pipe, skived and roller burnished Honing Seamless pipes, Inside Honed & outside chrome plated Hollow pipe, Honing Seamless Hollow Bar, Honing Seamless hollow pipes kindly do contact us. Jayant Impex can offer Stainless Steel Honed Tube, Stainless Steel Honed Seamless Tubes, Cylinder Stainless Steel Honed Tube, Hydraulic Stainless Steel Honed Tube, Ready to Hone Tube, skived and roller burnished Stainless Steel Honed tubes, Inside Stainless Steel Honed & outside chrome plated Hollow tube, Stainless Steel Honed Hollow Bar, Stainless Steel Honed hollow tubes. Size Specifications for Stainless Steel Honed Tube: 25mm to 250mm, 1" to 10"
Applications of Stainless Steel Honed Tube: Finishing of cylinders for internal combustion engines, air bearing spindles and gears, used in oil, telecom, power plants, general engineering purposes, electrical industries and for various hydraulic applications like Hydraulic Cylinder, Hydraulic Jack, hydraulic oil cylinder pneumatic cylinder, petrifaction oil pump, coal mine, engineering machinery, crane and transport machinery, auto transmission axes, plastic machinery, engineering machinery, crane and transport machinery, auto transmission axes, plastic machinery, hydraulic oil cylinder, pneumatic cylinder, absorber, spin printing and dyeing, forklift, pump barrels, etc. From Jayant Impex Pvt Ltd, India, Maharashtra, Khopoli, Mumbai client can avail Stainless Steel Honed Tube, Stainless Steel Honed Seamless Tubes, Cylinder Stainless Steel Honed Tube, Hydraulic Stainless Steel Honed Tube, Ready to Hone Tube, skived and roller burnished Stainless Steel Honed tubes, Inside Stainless Steel Honed & outside chrome plated Hollow tube, Stainless Steel Honed Hollow Bar, Stainless Steel Honed hollow tubes. If any requirements for Stainless Steel Honed Tube, Stainless Steel Honed Seamless Tubes, Cylinder Stainless Steel Honed Tube, Hydraulic Stainless Steel Honed Tube, Ready to Hone Tube, skived and roller burnished Stainless Steel Honed tubes, Inside Stainless Steel Honed & outside chrome plated Hollow tube, Stainless Steel Honed Hollow Bar, Stainless Steel Honed hollow tubes kindly do contact us. 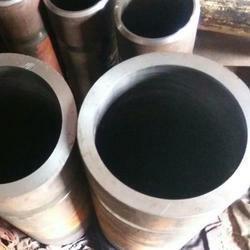 Looking for Honed Pipe & Tube ?